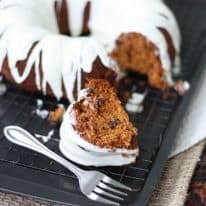 Tomato Soup Cake is a perfect sweet spice cake recipe! Topped with cream cheese frosting and made with real tomato soup in the batter, this cake is unbelievably delicious! Tomato Soup Cake sounds SO STRANGE, believe me I know. But trust me, you would literally never guess from tasting this cake that it was made with condensed tomato soup! 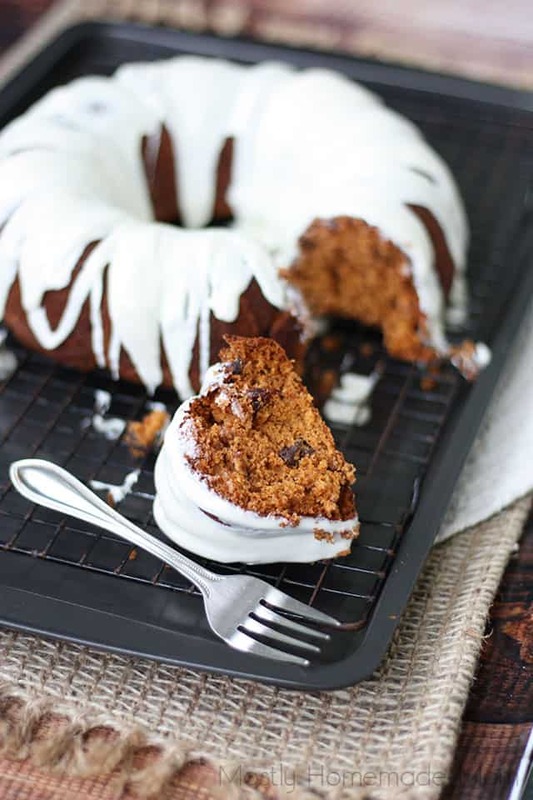 With cinnamon, cloves, and raisins, this is a delicious spice cake that you absolutely need to try ASAP! This delicious cake first appeared in Campbell’s Soup cookbook in the 1920’s! 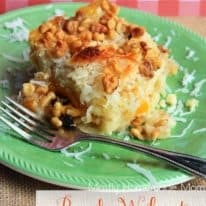 After many different versions, one similar to this recipe appeared in the 1950’s and is still enjoyed by many today as an easy and different dessert. 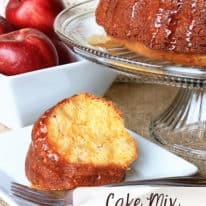 What kind of tomato soup is used in this cake? 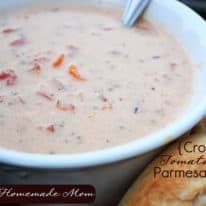 You will need a regular sized 10.75 oz can of condensed tomato soup for this recipe. Does this cake taste like tomato soup? Not at all! 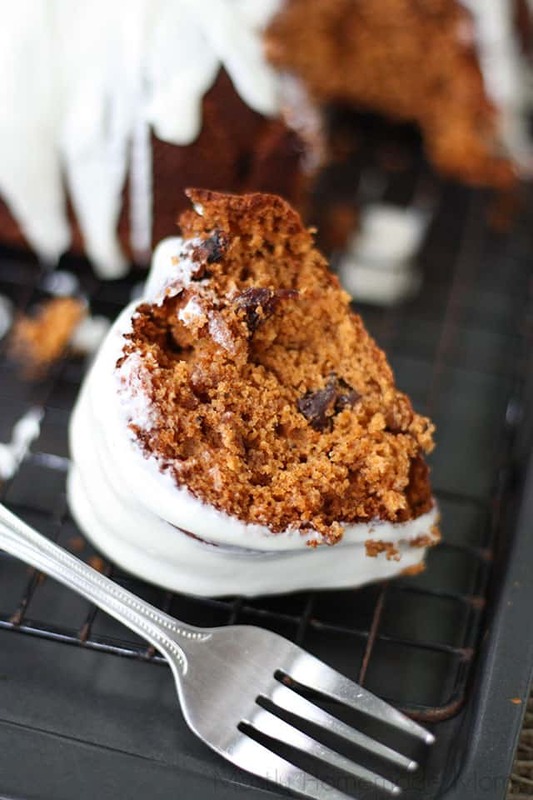 It tastes like a rich spice cake with raisins and cream cheese frosting. In other words, delicious! 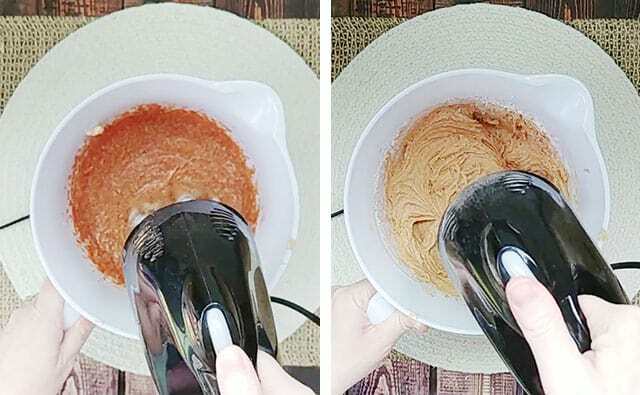 In a small bowl, stir together condensed tomato soup straight from the can (do not add water) and baking soda; set aside. In a mixing bowl, cream together butter, sugar, egg, cinnamon, and ground cloves. The tomato soup mixture will have “risen” a bit by now. Add it to the mixing bowl and beat well. Add in self rising flour and beat well. 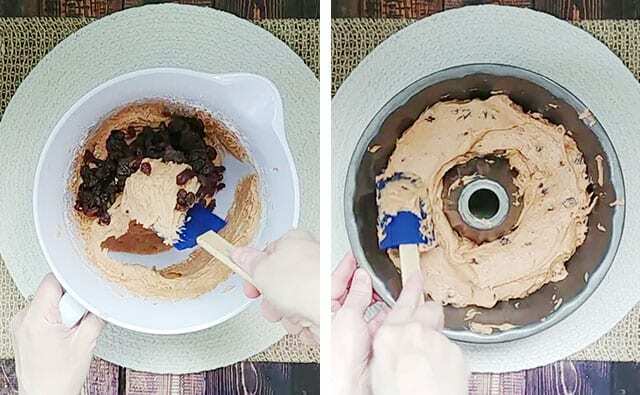 Stir in raisins and spread batter into a greased Bundt pan. Bake and cool completely. 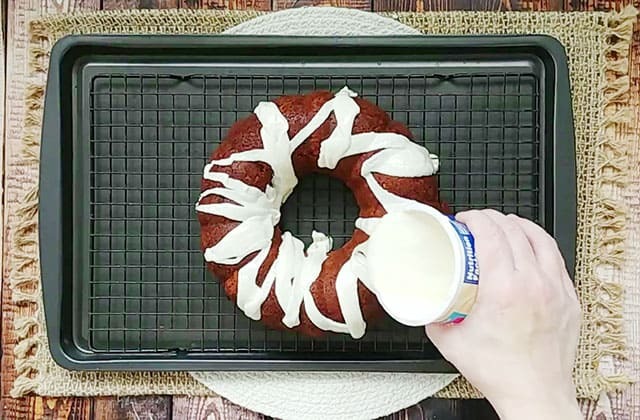 Drizzle warmed cream cheese frosting over cooled cake. Serve immediately. If you’re out of self rising flour, use 1 1/2 cups all purpose flour, 1 1/4 tsp baking powder, and 3/4 tsp salt for this recipe. Here’s a handy conversion for future recipes. Yes! Wrap the unfrosted cake well and freeze for up to 6 months. Just thaw and frost according to the recipe when you’re ready to serve. Can the raisins be omitted? Sure! You could substitute the raisins for chopped walnuts or even white chocolate chips. If you liked this recipe for Tomato Soup Cake, leave a rating and a comment below this post! Tomato Soup Cake recipe made with condensed tomato soup, sugar, self rising flour, spices, and topped with cream cheese frosting. In a small bowl, stir together condensed tomato soup and baking soda; set aside. In a large mixing bowl, beat together butter, sugar, egg, cinnamon, and cloves. Add in tomato soup mixture and beat well. Add in self rising flour and beat well. 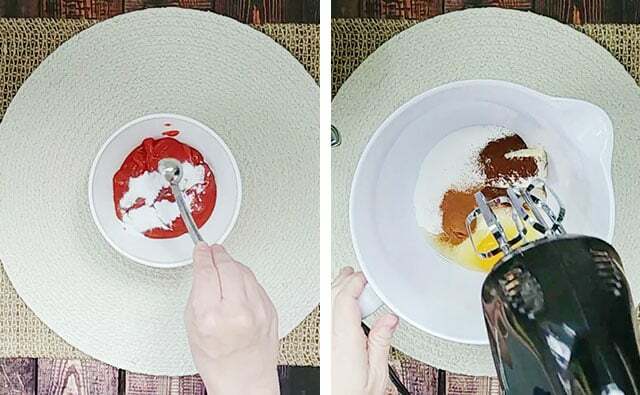 Spread batter into a well greased Bundt pan. Bake at 325 for 45 minutes or until a cake tester comes out clean. Turn out onto a wire rack and cool cake completely. Remove lid and foil seal from frosting container. Microwave for 10 - 20 seconds until frosting is able to be poured. Drizzle frosting evenly over cake. Your comment just made my day! I’m so happy you enjoyed it as much as we did!